Tabloid tawdriness has swirled around the Royal Family every now and then for decades, but the negative attention focused on the father of Prince Harry's new wife Meghan has little precedent among Royal in-laws. In a family familiar with scandal and episodes to rival any good soap opera, the Thomas Markle saga stands apart. Sure, there has been tabloid tawdriness swirling around the Royal Family every now and then for decades. But the negative attention focused on the father of Prince Harry's new wife Meghan has little precedent among Royal in-laws. "It's all very sad. It's a disaster, really," said U.K.-based author and royal biographer Penny Junor. The Markle debacle — as it's been dubbed in some British tabloids — ramped up in earnest with the whole shemozzle over whether the retired TV lighting director would walk his daughter down the aisle for the May 19 wedding at Windsor Castle. In the end, he didn't and Harry's dad, Prince Charles, stepped in. Since then, there has been a constant barrage of tabloid headlines, as Markle periodically speaks with media outlets to share his views — none of them very complimentary — about his daughter's new relatives. The 74-year-old, who lives a reclusive life in Mexico, recently went on about the Royal Family's "cult-like secrecy" and compared them to Scientologists. "They close the door, pull the shades down and put their fingers in their ears so they don't have to hear," he told The Sun newspaper last week. Each time Markle speaks, it just seems to add to the negative narrative developing around him. "I have been watching with a certain amount of interest and it does seem like a bad episode ... of Coronation Street, a soap opera," said British public relations expert Mark Borkowski, who has worked with everyone from Michael Jackson to Mikhail Gorbachev. The whole sad scenario has spawned much speculation on how it all came about. The media — particularly some tabloids and outlets eager to pay a person inexperienced in their ways to speak with them — are seen by some as fuelling what's going on and exploiting Markle. Markle isn't the only member of Meghan's family speaking out. Her half-siblings Samantha and Thomas, Jr., have been in the headlines, too. And none of them seem to be toning down their views. Meghan's father "will say exactly what he likes and so will the rest of them," said Junor, who sees one of the main problems lying in Meghan's American heritage, and how her family won't have "the sort of inbred respect" for the Royal Family that is held by the British and people in Commonwealth countries. "They don't have that innate respect, and why should they? From their perspective, this is just a family with a lot of money and a lot of power, soft power, who … they would argue are behaving badly." And maybe the Royal Family hasn't had its finest hour trying to sort out this mess. "First of all, Harry should have met her father … before the wedding," said Junor, who knows Harry and speaks highly of him as a man who is kind, thoughtful, genuine and has "won hearts all over the place." She also sees a lapse in judgment, possibly on the part of Harry and Meghan, in not sending somebody from Kensington Palace to explain to Meghan's father what might happen with the media onslaught he was likely to face in the wake of the engagement. 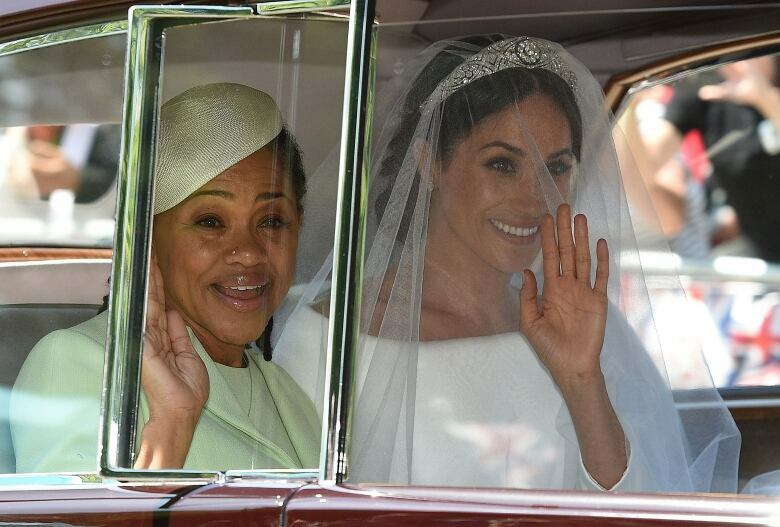 Beyond that, Junor questions why Meghan's mother, Doria Ragland, was the only member of her family at the wedding. "We all have relatives that perhaps we are not so keen to see. Being in that position and having a wedding with that sort of profile, I think you just have to bite the bullet and invite your relatives," said Junor. But as things transpired, they weren't invited. And that could be seen as a pretty big slight, one that could harm family allegiances. "Maybe they are terrible, there is no relationship," said Junor, "but it … just opens up the possibility of the media getting in and causing havoc, which is exactly what happened." PR expert Borkowski would have "got well ahead of this and dealt with it right at … the outset" during the wedding preparations and brought Markle into the royal camp. "Clearly they're in a very difficult situation," Borkowski said. "They're damned if they do and damned if they don't. He's proving to be a man who is being paid regularly by some of these … [media] agencies in America. They're feeding him and he is performing like some sort of dancing pony by keeping this narrative going." Still, for an organization like the House of Windsor, which is so concerned about its public image — and which has had some success boosting that image in recent years — how did everything go so far off the rails? "I think it's crept up on them," said Borkowski. "Everybody makes mistakes and I think it was a mistake that was made, and it's a very difficult one to recover from. Maybe they tried." From Borkowski's perspective, the palace needs to keep Meghan's father at "arm's length because anything they're likely to try and do he's going to use for his own income." Borkowski expects there have been numerous attempts through intermediaries to sort this out, "but really it's between a daughter and her father." And in that, maybe it's not so far removed from what families outside the palace walls face — and this could engender some empathy for Meghan. "I think most families across the world will have a narrative about an estranged relative," said Borkowski. "I think there's a more realistic feeling now towards the Royal Family, so you know these things happen to them, they're out in the open." For all the tabloid attention the Markle debacle has foisted on the Royal Family, there isn't a sense it is having a significant negative impact on the public perception of Meghan and Harry and the House of Windsor right now. 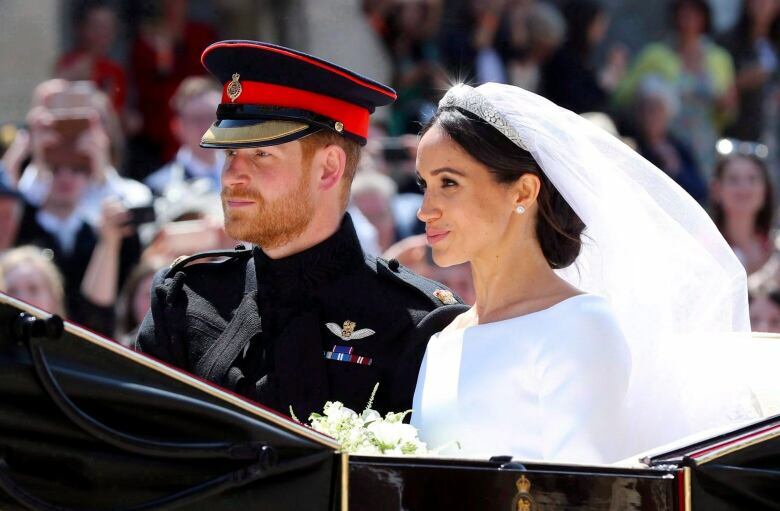 "It seems like a bad narrative going on, but I think people want to see Harry and Meghan succeed in terms of a relationship," Borkowski said. "There's so much negativity around at the moment here, the Brexit and all the other bits and pieces. They want good news stories. They aren't looking for bad news stories. They don't want something else being destroyed by this rather strange character living out of a trailer park on the Mexico-California border, wherever it is." Junor said there's a "huge amount of affection" for Harry in the U.K. "I think there is a lot of affection for Meghan as well." Still, the Markle debacle has been something of a downer after the joy and happiness that surrounded the couple at the time of their marriage in May. "There was that magical wedding," said Junor. "They set off with fantastic good will, and this [is] really sad." An earlier version of this story incorrectly stated that Samantha and Thomas Jr. are Meghan Markle’s step-siblings. They are her half-siblings. 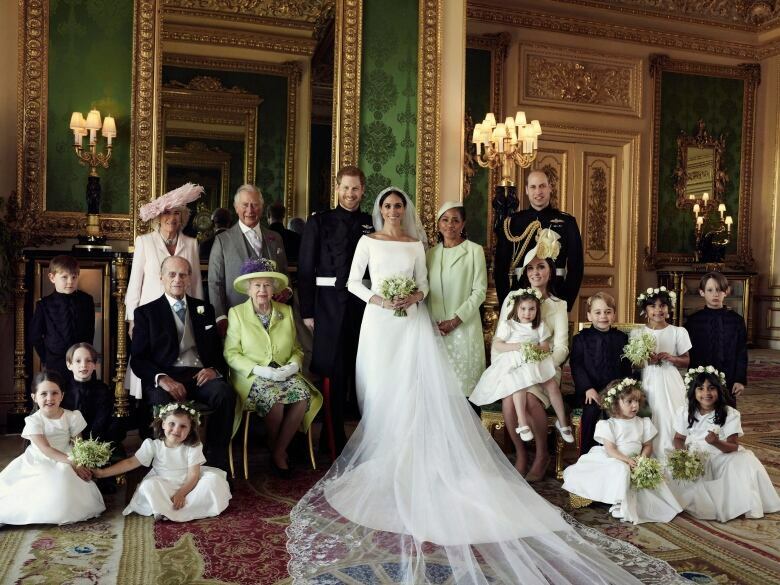 Should palace officials have done more to prepare Meghan Markle's family for the royal wedding?